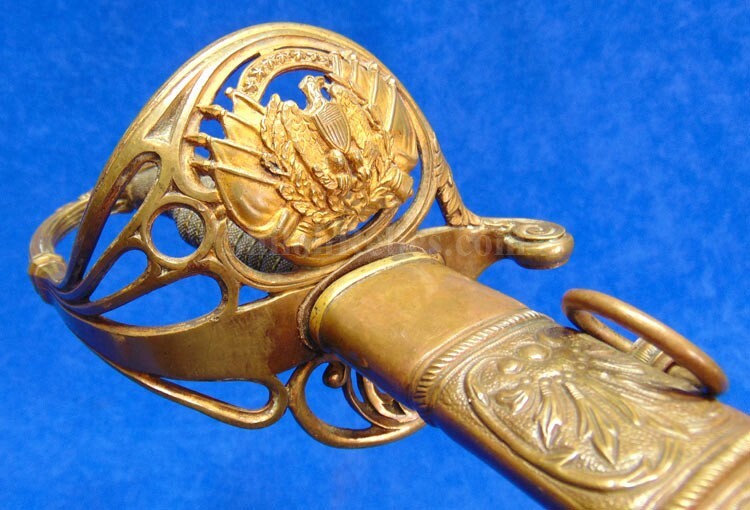 When this sword left the retailer it was a true thing of beauty! 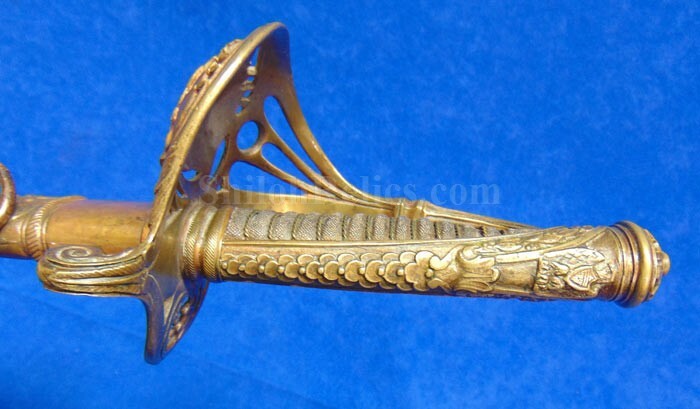 This is a very detailed sword that is almost more of a work of art in design rather than a weapon. 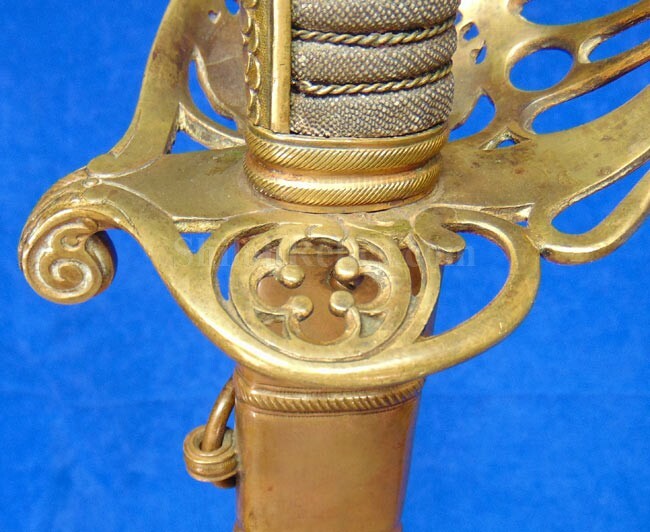 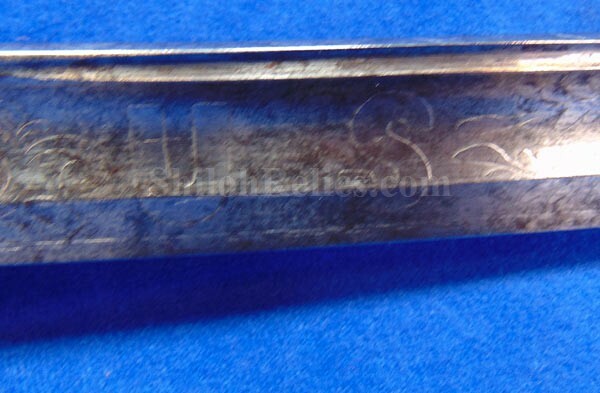 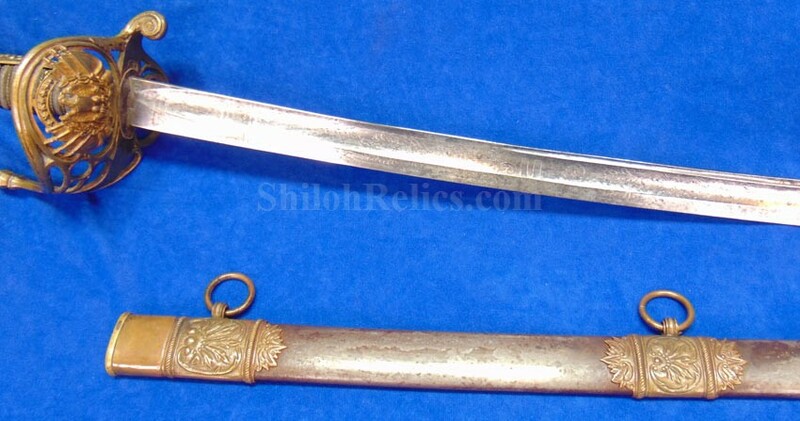 This is the French designed sword that would have been imported for use by a well-to-do Union officer. 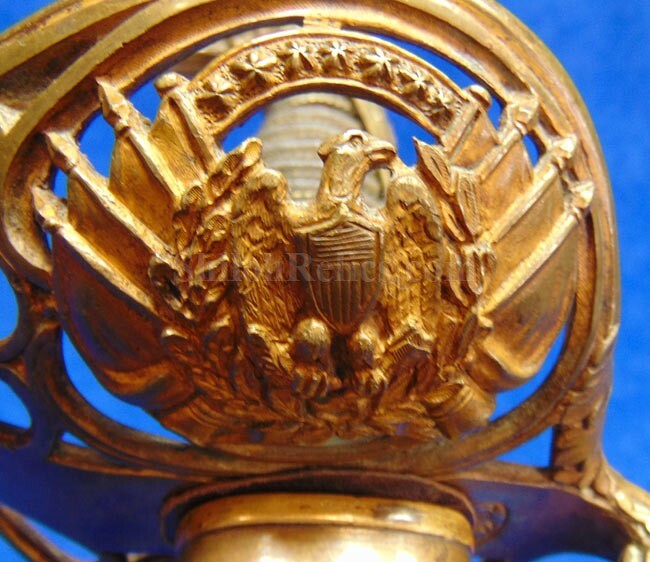 The cast brass hand guard has the droop wing style Union eagle in front of the spray of flags with the 7 stars above the eagle. 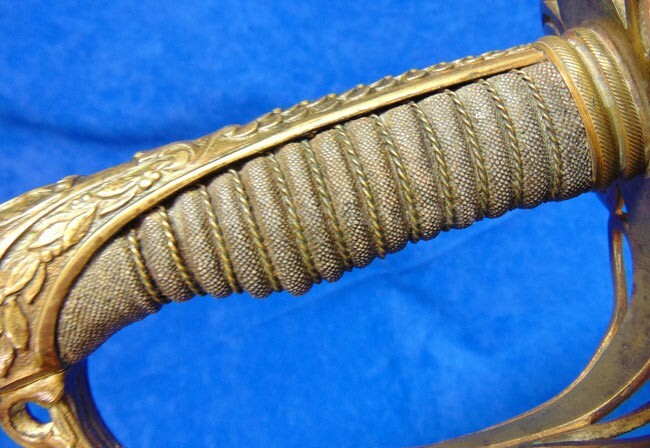 On the back side of the guard it has the cloverleaf design. 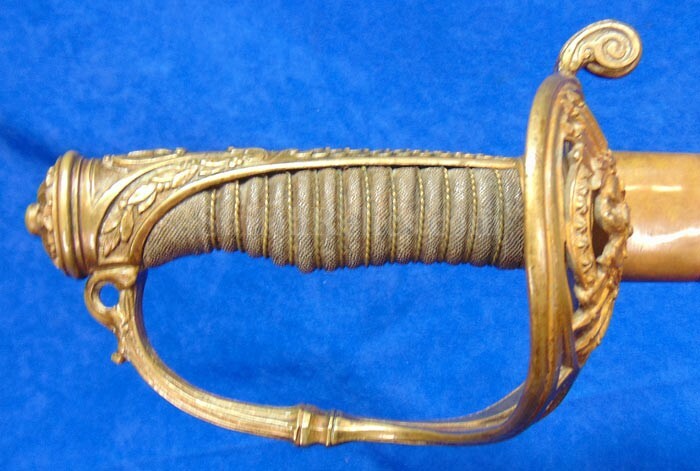 Just below the hand guard quillion it has the desirable Paris retailer mark of the firm of Delacour & Backes of Paris, France. 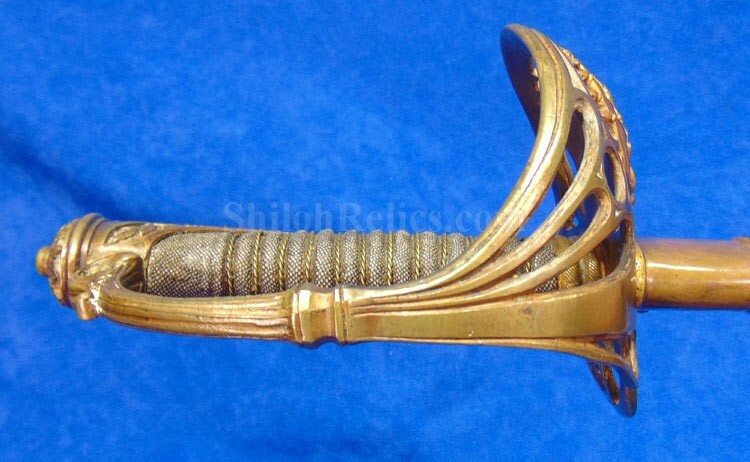 They were high end retailers who would have supplied limited numbers of these goods to wealthy clients. 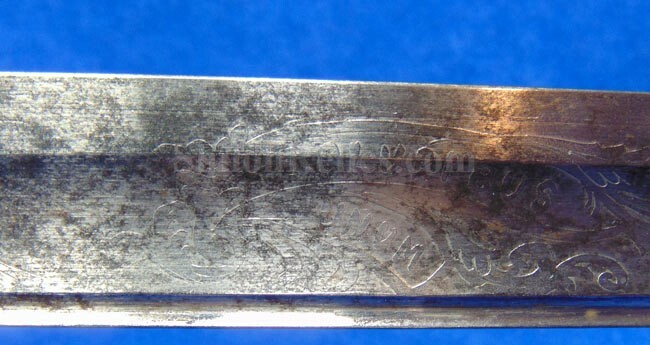 On the backstrap it has another droop wing eagle. 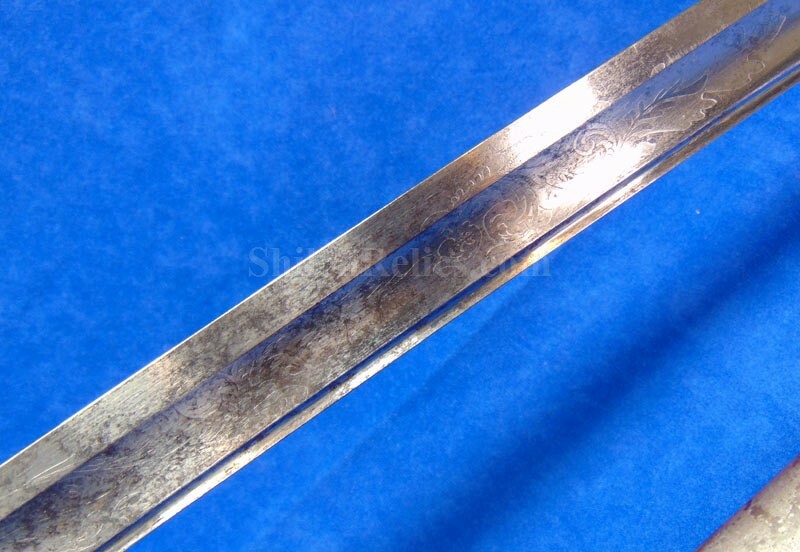 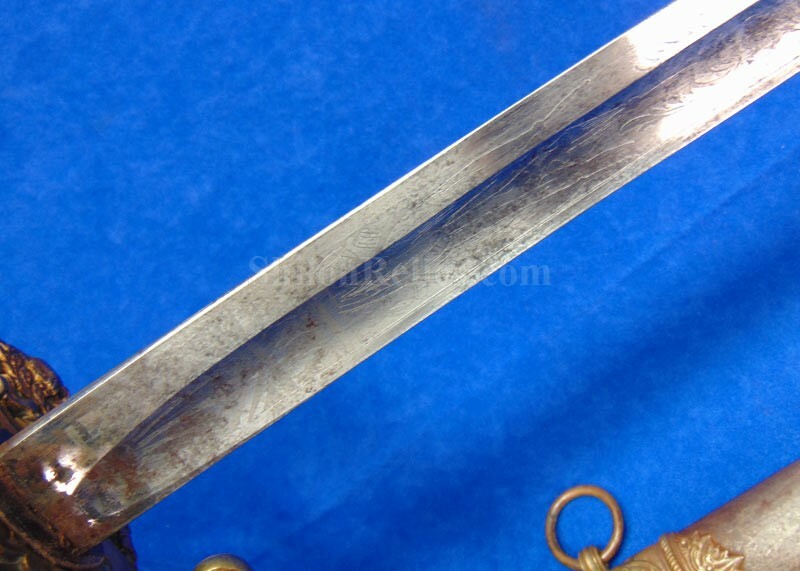 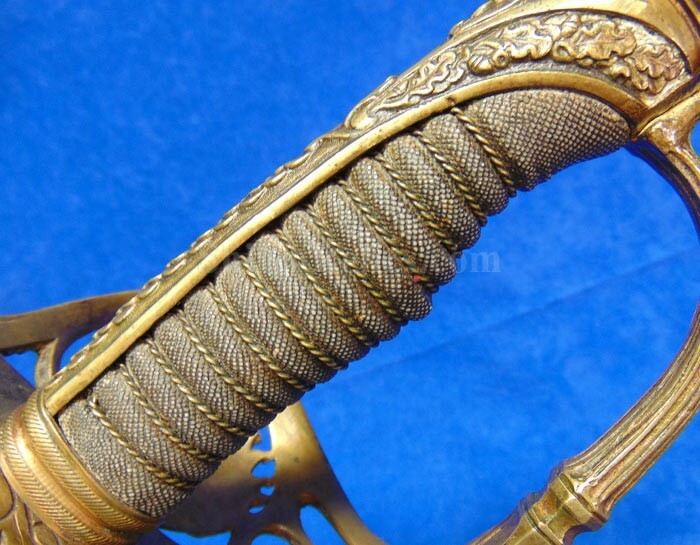 The blade of the sword is one of the fine quality blades that has the Klingenthal arsenal marking. 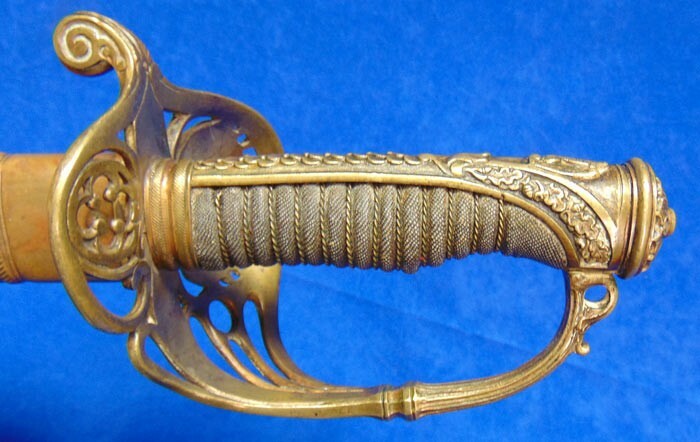 Many firms would import the blades and assemble swords themselves like this including many of the American firms such as Horstmann and Tiffany. 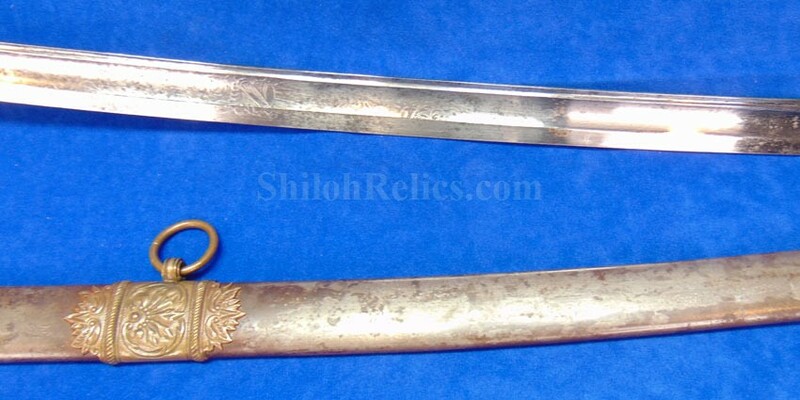 The sword still has the etching on each side. 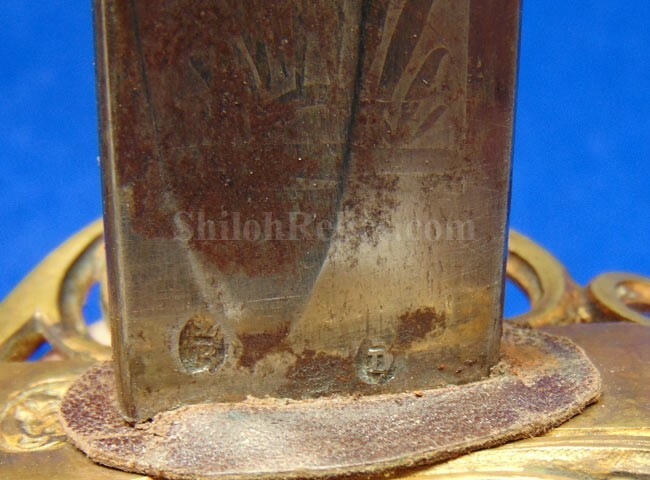 The back side has the eagle design with the "E PLURIBUS UNUM" motto in the ribbon underneath. 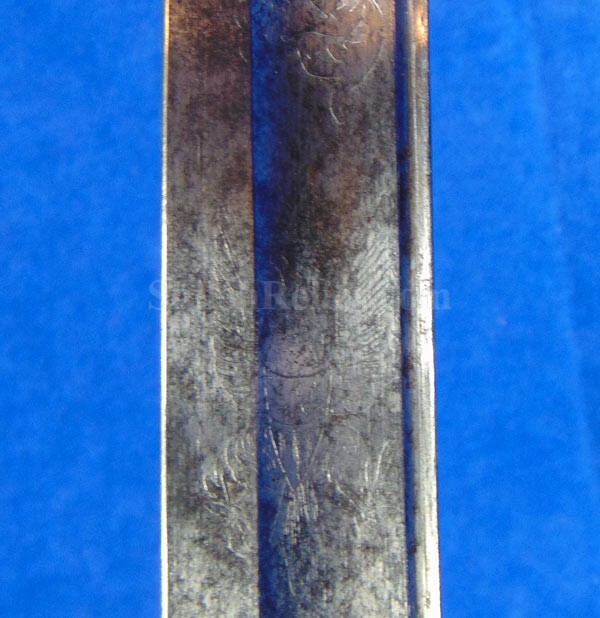 The front of the blade has the "US" lettering. 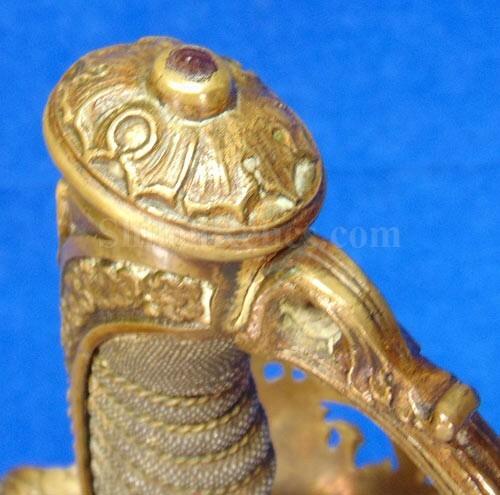 The sword is accompanied by the original leather and brass scabbard. 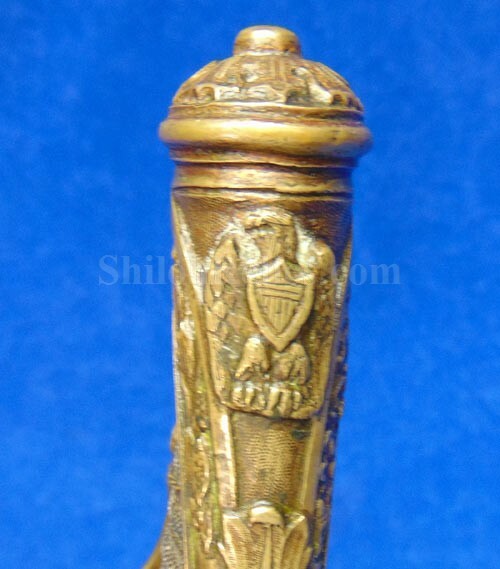 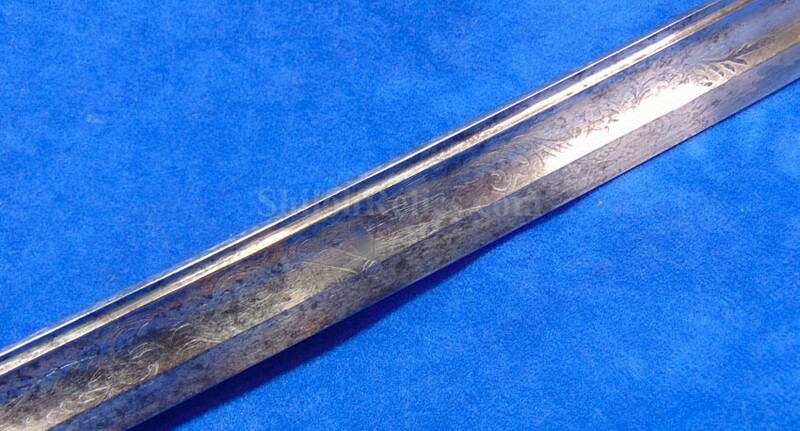 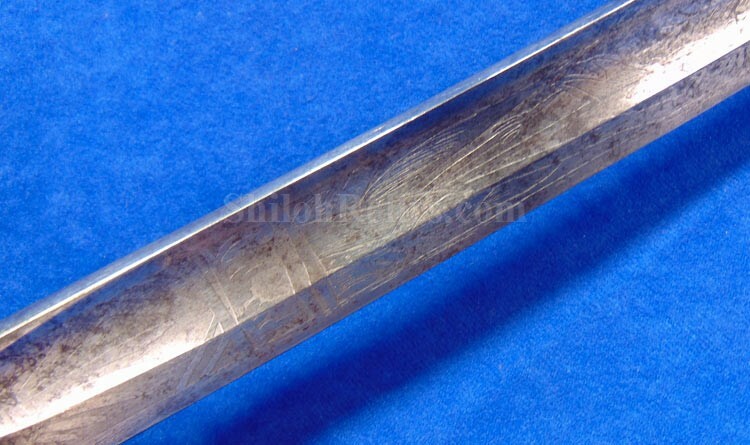 The scabbard is a very fine quality as you can see. 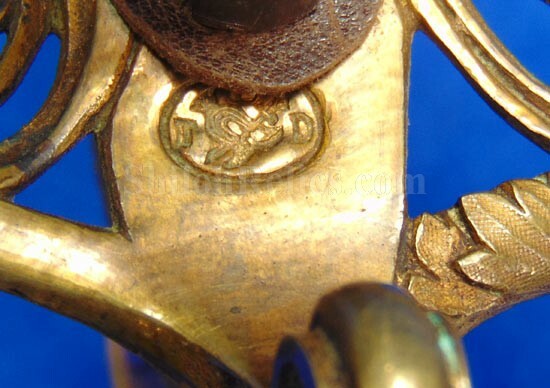 Each of the mounts and also the drag have been embellished with extra floral designs. 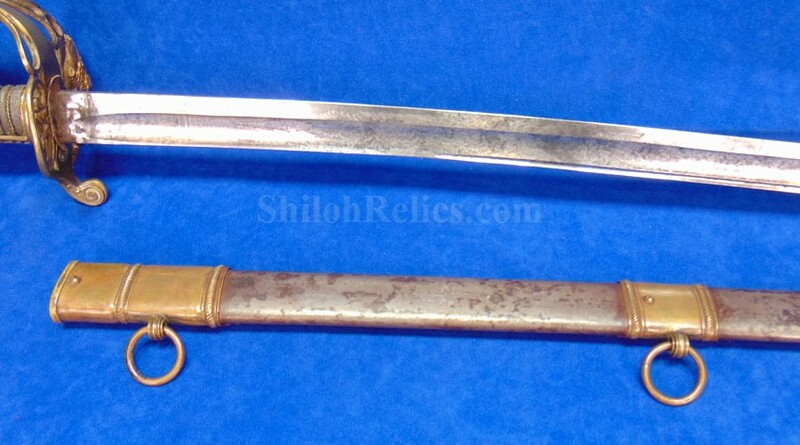 This is a heck of a lot of sword.